Lions Clubs International Foundation has extensive experience in providing immediate and long-term relief following natural disasters. Immediately after the 7.9 magnitude Earthquake took place in Nepal, LCIF awarded a $100,000 Major Catastrophe Grant to begin Relief efforts. Local Lions clubs have begun delivering relief in their affected areas. All funds donated will be channeled to help in the affected areas. Lions Clubs international provides initial $100,000 Emergency Grant for Wildfire Relief in Alberta. View Lions Blog for Lions response to the Nepal Earthquake. 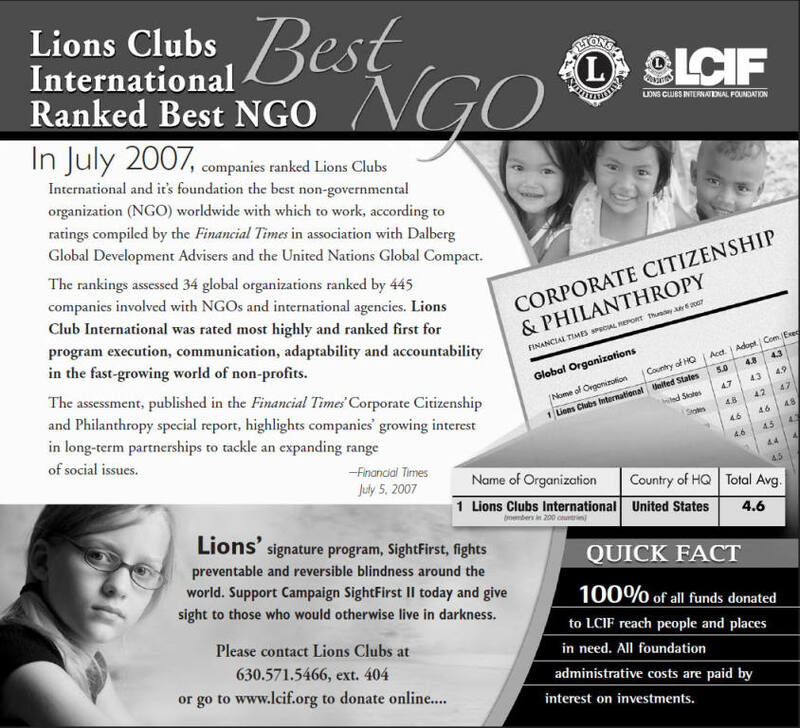 What is Lions Clubs International Foundation? Every day, Lions Clubs International Foundation (LCIF) works to fulfill its mission: "To support the efforts of Lions clubs worldwide in serving their local communities and the world community as they carry out essential humanitarian service projects." We Give Sight. LCIF helps to restore sight and prevent blindness by improving eye care. We Support Youth. Through Lions Quest and other projects, youth enjoy opportunities to develop and succeed. We Provide Disaster Relief. LCIF is committed to immediate and long-term assistance. We Meet Humanitarian Needs. Programs improve health, fight measles and provide aid to the disabled and hearing impaired. 100% of all funds donated to Lions Clubs International Foundation reach the people and places in need. All foundation administrative costs are paid by interest on investments. Visit Lions Clubs International Foundation to learn more.